Are you struggling to figure out how to build an email list? Did you just finish creating an opt-in freebie only to find out that no one wants it? Or maybe you’ve started your email list already, but you’re seeing slow results which is making it discouraging to keep going. Email marketing is an important part of your online business and it can be tough starting out to build your email list. Luckily, I found ConvertKit which has helped me go from a few subscribers per month to over 500+ subscribers every month on a consistent basis! The developer of the ConvertKit email marketing software, Nathan Barry, understood all of the shortfalls of other email marketing companies having been a website owner and email marketer himself. You can learn more about his company and the software here. 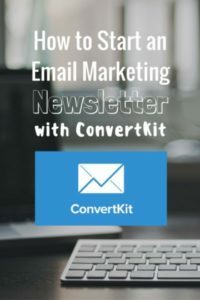 ConvertKit has a lot of features you won’t find in the other email marketing softwares and these features make email marketing extremely easy on you, as it should be. I also love the fact that Convertkit’s dashboard is easy to navigate. You can see everything on one page thanks to the well designed menu bar that has 6 different tabs to navigate between depending on what you are trying to find, set-up, etc. 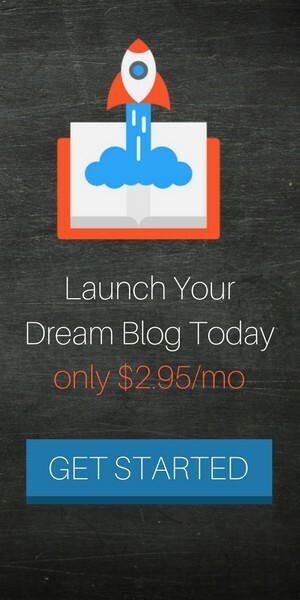 When you login to your ConvertKit account you will automatically be taken to this home page. 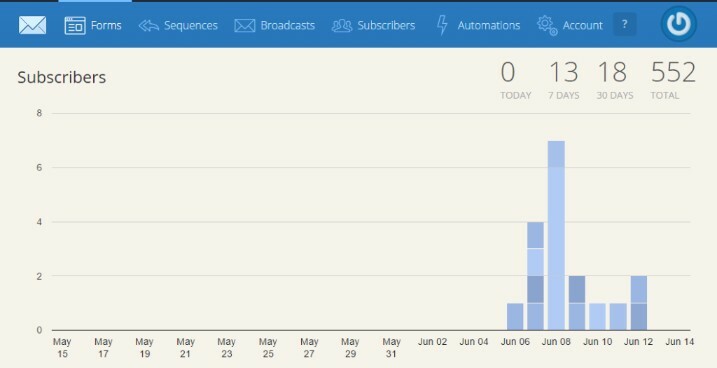 The home page is a summary of your recent subscriber activity showing you how many new subscribers you’ve gained in the last day, 7 days, 30 days, and all-time. One of the cool features of the ConvertKit email marketing platform that I love is that the bar graph is color coded showing you which forms each of the subscribers came from. You can hover over the bar graph and it will tell you this information. Below the bar graph you’ll find a button that says “Create Form.” Click that button and up pops two options; a landing page and a form. A landing page is a page you can send people to that highlights the offer you are giving them for opting in to your email newsletter series. A form is an email optin box that has a name and email field they can input their information and click submit. Forms can be embedded into blog posts, sidebars, footers, or have their own page like is the case with a landing page. Let’s say you select “Form.” You’ll be redirected to the next page which pops up 3 different types of forms you can create. The first type of form is a simple form with a headline and an email field. The second type of form allows you to put a catchy headline, an image of the eBook or product you are offering, a description of the offer, and the name/email fields for inputting their information. The third type of form is a simple skinny email catcher and submit button that can be embedded into the middle of an article or page. It allows the reader to pause a moment and join your email list after persuading them with the content leading up to the optin form. 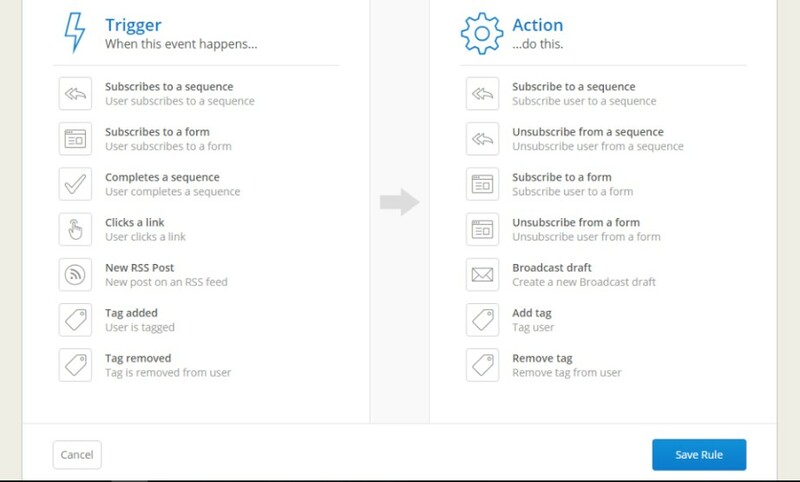 Sequences are email series you can set up that ConvertKit will send to subscribers to optin to your email list. This is a way to automate your email sending so that you don’t have to manually email every new person who subscribes the same email. 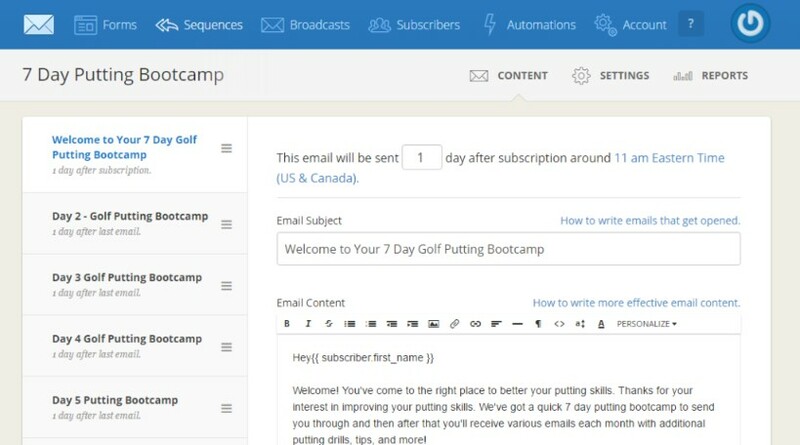 In sequences, you can set how many days to wait until the email is sent to the subscriber. This number of days is based on the last email sent. 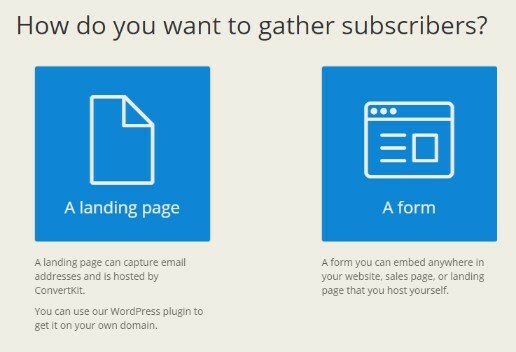 For example, you could have an introduction email sent immediately upon subscribing. Then your next email can be set to send 5 days after the intro email. Then a third email another 5 days later. Overall, this example 3 email series runs 11 days long. In my photo below you can see I’m running a putting bootcamp for golfer’s trying to improve at putting. Each day I send them a new lesson for 7 days and once they complete the bootcamp, I have additional emails set up to send them every 5-7 days so that we stay in touch each week. I throw in a product pitch every few emails as well to try and market to my email subscriber list. Want to send one time emails to your list? This is what the broadcast email is for. Simply click New Broadcast, type your email, and then select the list you want to email to. You can choose from a variety of targeted groups thanks to ConvertKit’s tagging feature as well as their segmentation feature. You’ll see these shortly in the subscribers tab. Once you’ve sent your broadcast email, you can view analytics to see how many opens, clicks to links within the email, unsubscribes, and more. For those who didn’t open your email at all, you can click resend broadcast and it will only send to people who didn’t open it. Pretty cool feature right? This increases your emails reach as you can send it two, three, four times until more and more email subscribers finally see it and open it. This tab is where you’ll find all of your subscribers. There are many ways to view subscribers on this page. For example you can toggle the bar at the top to change between confirmed subscribers, unconfirmed subscribers, bounced subscribers, unsubscribes, and more. On the right hand column you’ll notice segmentation and tags. When someone subscribes to a specific email list or through a specific form you can have them tagged. 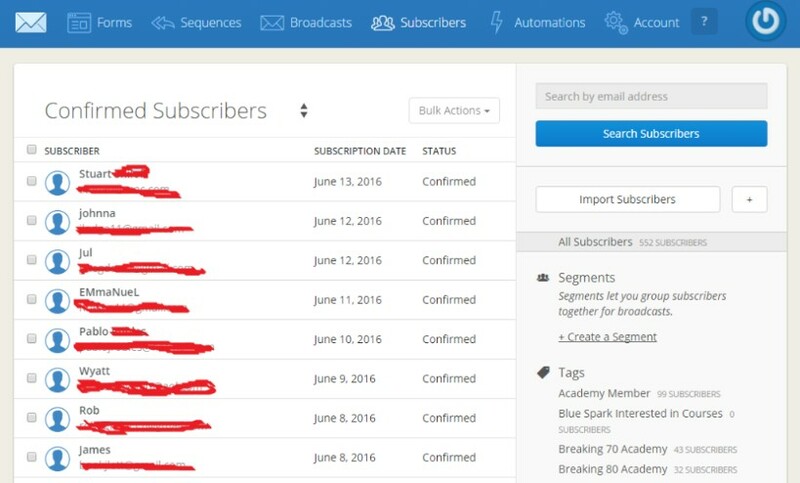 Tagging is a way of grouping subscribers so that later you can send broadcast emails to this specific group of subscribers. From the subscriber tab, you can also add individual subscribers by email address or bulk import a previous list of email subscribers you have. When I switched from Mailchimp to ConvertKit in June 2016, I brought over about 500 subscribers from Mailchimp in an excel sheet. The excel file has to be in CSV format in order to import it into ConvertKit. When you click import, you’ll have to select the CSV file from your computer and then ConvertKit lets you select a tag, form, or sequence to import the subscribers to. If you notice subscribers haven’t been opening your series of emails, you can come to this tab and search them by email and delete them. It’s smart to clean out your list every few months or year to reduce inactive members since you are paying based on how many email list members you have. On the bright side, if someone joins more than one list, ConvertKit recognizes their email and only counts it once unlike many other email marketing companies. This can be expensive with other companies since they double count someone and cause you to reach the next pricing level faster than ConvertKit who only counts an email once towards your total email subscribers. Out of everything we’ve talked about thus far, this is by far the best feature of ConvertKit. It sets ConvertKit apart from all other email marketing companies out there. Automations are rules you can set up that happen automatically and help to manage your email list campaigns. On my golf website, I tag all new customers as “customers” when they checkout so that in ConvertKit I have a group of customers to market new or additional products to since they are likely to buy again from me. I also have an automation set up so that when they are tagged as customer, they get removed from an email sequence that markets to non-customers. I don’t want them to get these product promotion emails anymore since they already purchased my course or eBook. Instead, they are added to the customer email sequence where I pitch additional products, services, etc. Overall, I love ConvertKit for managing my email marketing. It has made email marketing much easier on me than Mailchimp and I truly wish I had started using them sooner. Not only do they have better features than the other email marketing companies, but they also are cheaper which means more profits in your pocket from your online business. If you’ve been thinking of setting up an email newsletter, you should. It is the best way to connect with your audience and build relationships. You’ve put in lots of hard work to build a website, get it ranking on Google, and have traffic start coming into your website, so why not capture this traffic with an email form so that you can build a relationship with them? Your audience can receive a series of emails from you educating them on a topic, product, or service and you can eventually sell to your list once you’ve built trust. Email lists are great for informing readers about new blog posts, podcasts, YouTube videos, and other content you’ve created and want them to check out. You can get started with ConvertKit here. Not a techy person? No worries. I had no idea how to use ConvertKit before I purchased it and it was very easy to navigate and self learn within a few hours of playing around with it. ConvertKit is well designed for the beginner to understand and use. 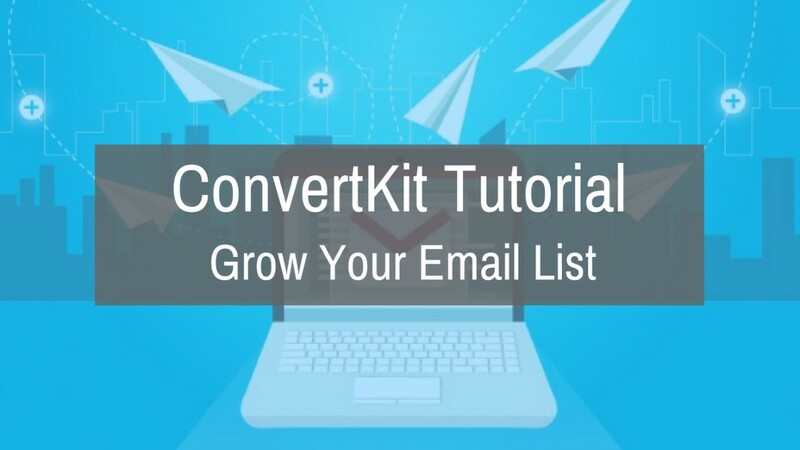 Plus, you’ve got all the knowledge you need now from reading this detailed tutorial on ConvertKit’s email marketing platform and have seen an inside look at all of the features. Thanks for reading my guide today and if you use any of these links within this guide to purchase ConvertKit, I do receive a small commission at no extra cost to you. Thank you for supporting my blog and reading my free content I publish weekly to help online entrepreneurs. 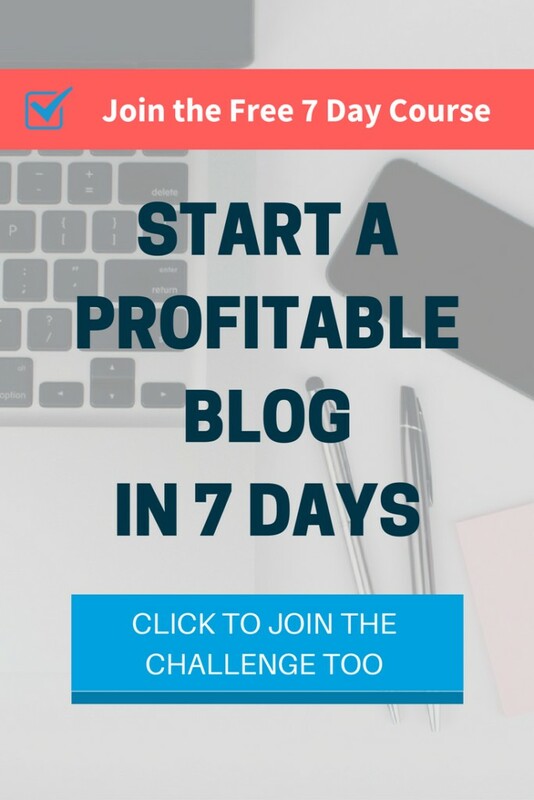 If you want to learn how to drive massive amounts of traffic to your email opt-in pages to quickly grow your email list size, then make sure you check out my course, Profitable Pinterest Traffic. It comes with worksheets, checklists, and lots of training videos to help you set up your Pinterest profile and drive traffic back to a website page or email landing page. Discover the strategies to rank your pins higher in the search feed so they get found by Pinterest users.